These are the quantities I used, but you can adapt them to your personal preference. Cook the prosciutto for 2-3 minutes or just before it gets crispy. Let it cool down and cut it into small pieces. Peel the peaches and slice them. Chop the almonds, and cut the goats' cheese. 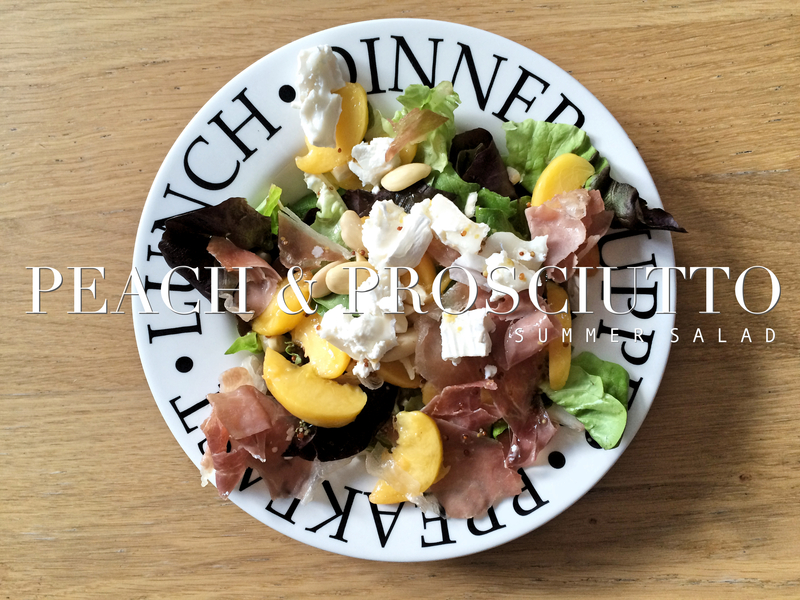 Then mix the almonds, peaches, prosciutto and goats' cheese with the mixed leaf salad. Whisk the olive oil with the vinegar, honey, and mustard and drizzle over the salad.